Mumps and salivary glands. Artwork of a side view of the face of a child with mumps, showing the internal structure and the salivary glands (pink). Mumps is a viral infection of the parotid salivary gland located beneath the ear. 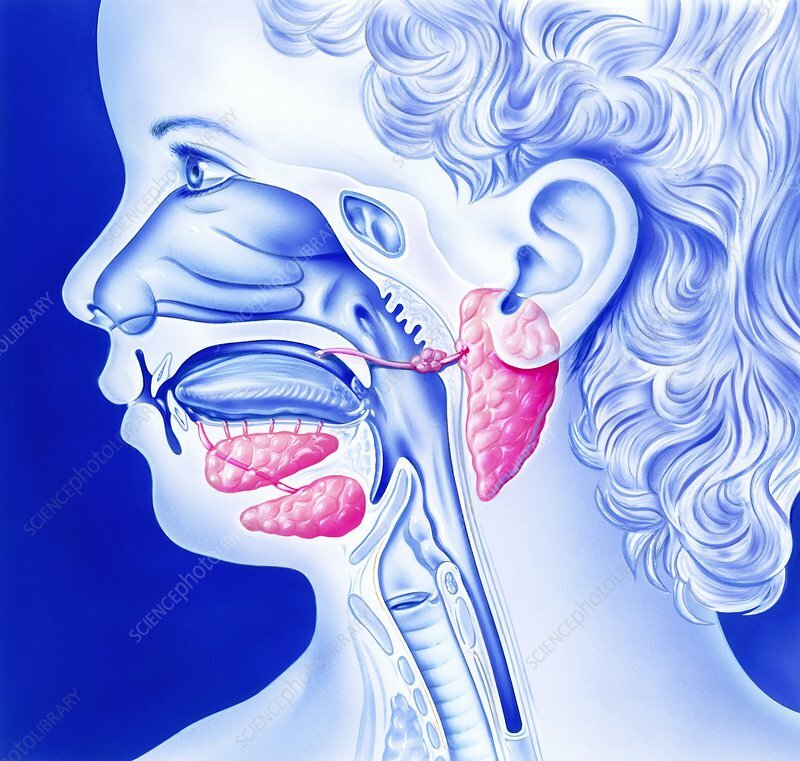 The other two salivary glands are the sublingual gland (below the tongue) and the submandibular gland (below the lower jaw bone). The glands secrete salivary fluids that are released via ducts into the mouth. Saliva contains enzymes that aid the digestion of food. Treatment of mumps is with fever-reducing and anti-inflammatory drugs.